With Connectify Hotspot PRO / MAX installed on your PC laptop, you can easily share Internet from wired Ethernet, or your 3G or 4G / LTE USB stick as WiFi, so that iPads, Android tablets and all of your other mobile devices can get online. Step 1: Purchase Connectify Hotspot PRO / MAX from the Connectify website. 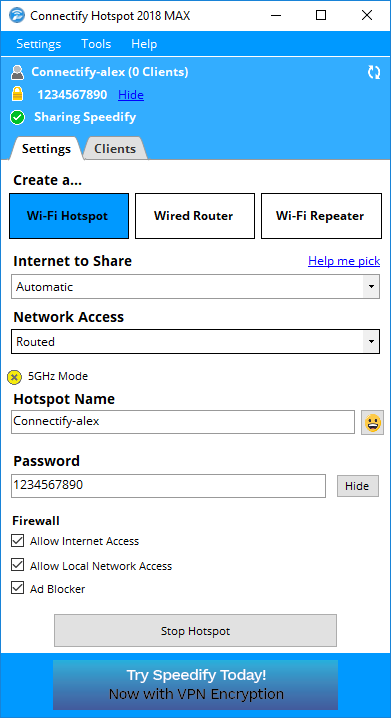 Note: While there is a free version of Connectify Hotspot, sharing 3G, 4G / LTE cellular or Ethernet connections as WiFi is a PRO / MAX only feature. Step 2: Make sure your 3G or 4G / LTE mobile broadband device or Ethernet adapter is selected from the ‘Internet to Share’ dropdown. Icons next to each adapter tell you what kind of Internet connection you’re selecting. Step 4: Click the ‘Start Hotspot’ button to begin sharing your 3G, 4G / LTE or Ethernet Internet connection with your iPad, Android tablet and other WiFi-enabled devices. Step 1: From the iPad’s Homescreen, tap the Settings widget, then tap Networks. Step 2: Tap the WiFi button and then slide the on/off slider to the ‘on’ position. 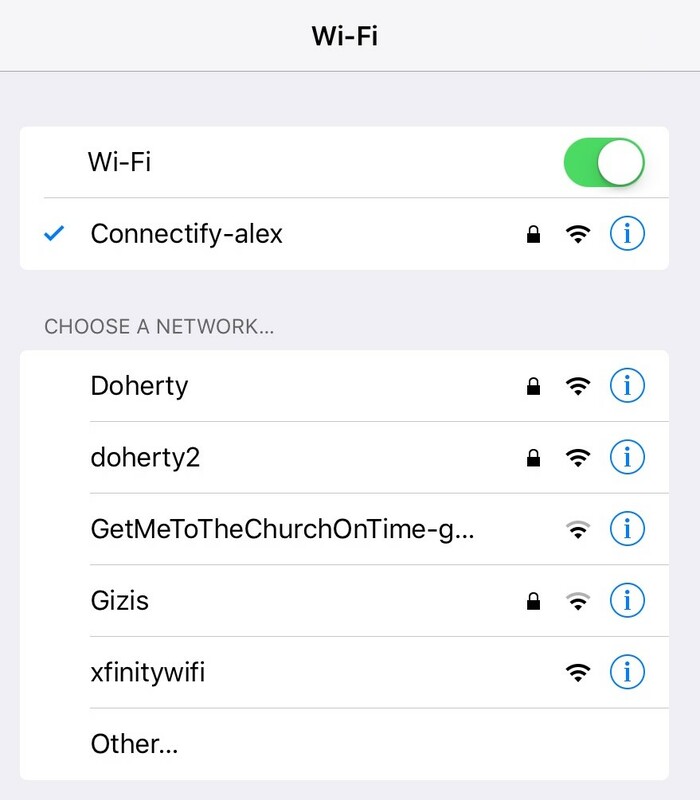 Step 3: Once the list of available WiFi networks populates, you should see your Connectify Hotspot’s SSID broadcasting your 3G or 4G network. Connect to that network by tapping it. Step 4: You will be prompted for the password that you gave your Connectify Hotspot. Enter your password and tap the Join button to connect.